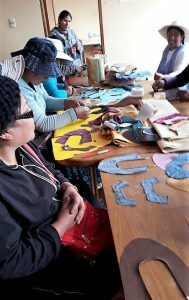 self-confidence, are some common goals shared by women who have started this March their technical training in our project “Migrant Women” in El Alto. 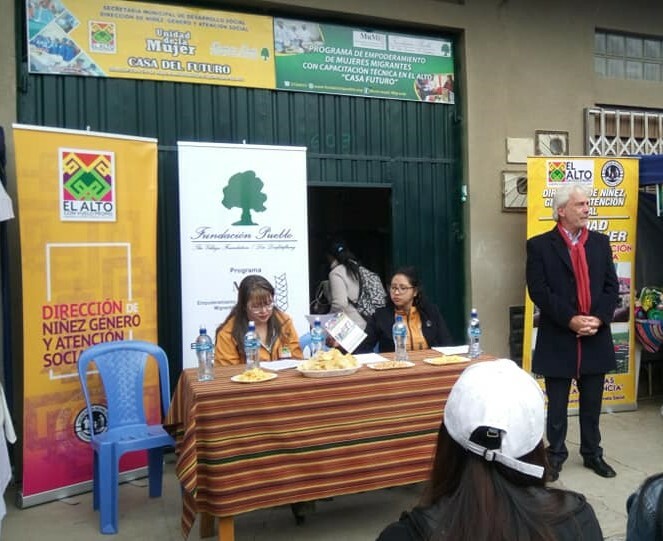 In preparation for this new semester and with the cooperation of the Mayor’s office, we modified the courses offered, to the economy situation of the mega-City of El Alto. Many exciting ideas emerged, for example, approximately 280 participants were able to choose between the following courses: making Cholita’s shoes, cell phone repairing, electrical home installations, painting walls, placing ceramics, preparing cocktails, event planning and transforming food. In addition to the technical training, participants, mostly women, whose parents or themselves have migrated to the city, have the opportunity to participate in a program with a variety of courses to strengthen their self-confidence and business skills. Our plan for the end of this semester, includes the presentation of their manufactured products and the services acquired at trade fairs. New project in the "Weekly Boarding in Indigenous Families"